Barra: “We’ve really tried to do a difficult step, a step that we had to do for the long-term success of General Motors … but doing that in a way where we were really providing the best opportunity we could for the employees impacted." DETROIT — General Motors CEO Mary Barra said she "understands" the political pushback and outcry around the company's decision to end production and potentially close up to five plants in North America. 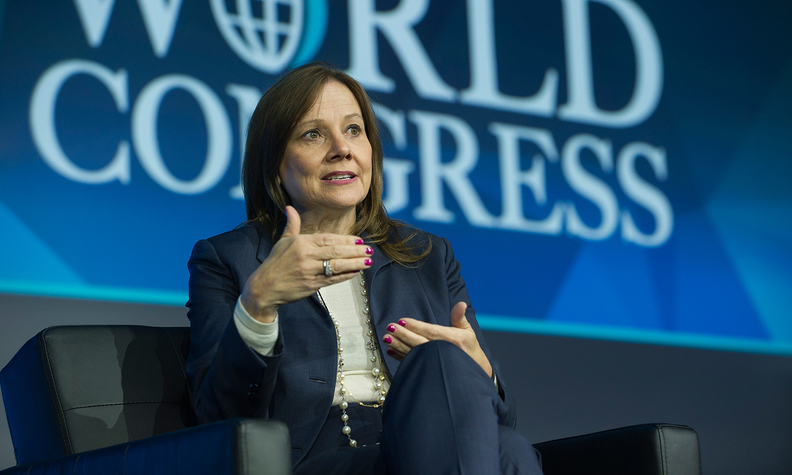 "I understand the emotion because one, somebody's life is changing and, two, it's having an impact on the community," Barra said Wednesday night during the Automotive News World Congress. Barra, while discussing a personal story about her experiences with layoffs at plants she's worked at, said what wasn't well communicated in the November announcement were the opportunities the company had for displaced workers at the plants — particularly in the U.S.
"We've really tried to do a difficult step, a step that we had to do for the long-term success of General Motors … but doing that in a way where we were really providing the best opportunity we could for the employees impacted," she said. For 2,600 hourly workers impacted at GM's Oshawa, Ontario, assembly plant, Barra said the company is working with local government, community colleges and businesses, and has identified 5,000 potential job opportunities. GM didn't definitively say it would close the U.S. plants, only that production would end and no products would be allocated for the sites. The Canadian plant is set for closure by year end.